Of all the numerous human resource management operations, time and attendance recording are deemed to be the most exasperating and tedious tasks. This is because; a lot of companies still favor the manual system of monitoring time and work attendance of their employees. However, with the changes in the (overtime rules) Fair Labor Standards Act (FLSA), that took place on Dec 1st, 2016, this is certainly the best time to invest in an automated time tracking system. Intricate employee overtime rule makes completing the payroll a complex task. Make errors, and your employees don’t get the wages they are supposed to get. Ignore these rules, and your organization will get sanctioned or sued. Basically, these new overtime rules can never be ignored. Overtime entails any hours worked above the usual working hours in a week. The normal workweek in the United States lasts for 40 Hours. However, according to Gallup poll of 2014, a large number of U.S citizens are working between 50-59 hours on average per week. So what does the new overtime rule 2016 say? Increases. As from Dec 1st, 2016, the salary limit for overtime increased to $913 per week or $47,476 annually. The previous cap was $455 a week or $23,660 annually. Apparently, this means, individuals who now earn less than $47, 476 are entitled to paid overtime whenever they work for more than forty hours a week. Top earners get more. The salary threshold of highly paid workers was also raised, with their overtime limit increasing from $100,000 to $134,000 annually. Every three years, these salary limits will be indexed automatically to account for inflation. Not all employees are entitled to a paid overtime under the FLSA rules. However, state laws may provide special exemptions so that workers may be eligible for overtime under their laws and not federal. FLSA applies to a large number of employers, but not all. Local companies and very small businesses may not be subject to Federal overtime laws but may still be covered under state overtime rules. A number of states have a daily overtime limit or require overtime after a number of weekly hours. For instance, in California, workers who qualify for California overtime receives one and a half (1.5) times their regular rate for more than 40 hours in a workweek; more than 8 hours during a workday; and for the first 8 hours of their seventh consecutive day of work. Additionally, eligible employees receive double their usual rate when they work in excess of twelve hours in any workday or for more than eight hours on their seventh consecutive day. Better payroll mechanisms – Automated time tracking application keeps track of working hours, and records overtimes against each worker’s individual record. This reduces the likelihood of discrepancies or errors cropping up during the manual calculation of bonuses, wages, and overtime compensations. Reduction of costs and expenditures – Time trucking applications help minimize slum dunk business costs and redundant expenditures by automating various tasks and thus, ease the work for HR departments. It also monitors the productivity of each employee and highlights the areas which fail to produce the expected ROI. Legal compliance – Automation will keep your company operations on the right track and in conformity with the FLSA regulations and the new overtime rules. 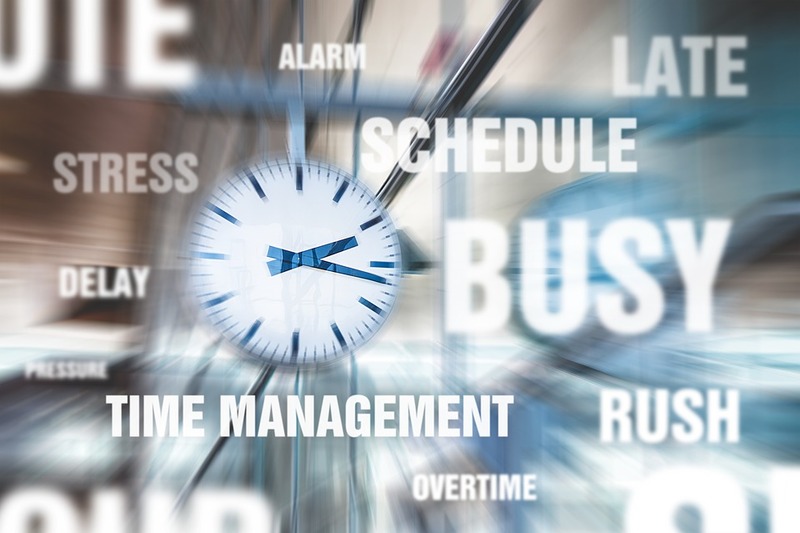 Time tracking software not only checks and identifies any potential overtime rule violation but also helps you run and amend your labor procedures accordingly, to avoid any unnecessary lawsuits. Audit trail – If a worker reports your company for not following any of the overtime rules 2016, the Department of Labor (DOL) will most likely try to audit your business. Fortunately, if you use a time and attendance software in your organization, this wouldn’t be a big problem since you can retrieve the necessary documentation from your time tracking system, to prove your innocence. Avoid timesheet rounding – A time tracking system puts a stop to timesheet rounding, which usually happens unknowingly but obviously falls in the worker’s favor. Timesheet rounding happens about ten minutes per shift and per employee, according to the American Payroll Association. Efficient planning and shift management – A company with a large employee base, particularly in the production and industrial sector, needs an effective, efficient and reliable shift management program. This is necessary for keeping the production cycle in a steady spin for the purposes of meeting your targets. If you are still using the pen and paper method, or the old-fashioned punch clock system to track your employees’ time, then you are doing an injustice to your business. Companies that employ flex workers and non-exempt employees have to be acquainted with the most up to date time-keeping rules to act by the salary overtime rules. Some of the reputable time-tracking systems, such as AccountSight, have already incorporated the overtime rule 2016 feature to their time and billing program to help businesses maximize productivity while simplifying operations. Spend time working, not tracking time and attendance levels of your employees. Think of it this way; a time and attendance software can track: overtime hours, the rate of pay, statutory holidays, vacation, and also acts as a scheduling alternative for your workers’ analytics and reporting functions - these are functions that every human resource department in the world wishes to be automated. Notably, most time and attendance systems are very easy to use, making them convenient for both the employees and the management.